Taking a curve and bending it back on itself is what I do. I love the flow and feel of the undulation. 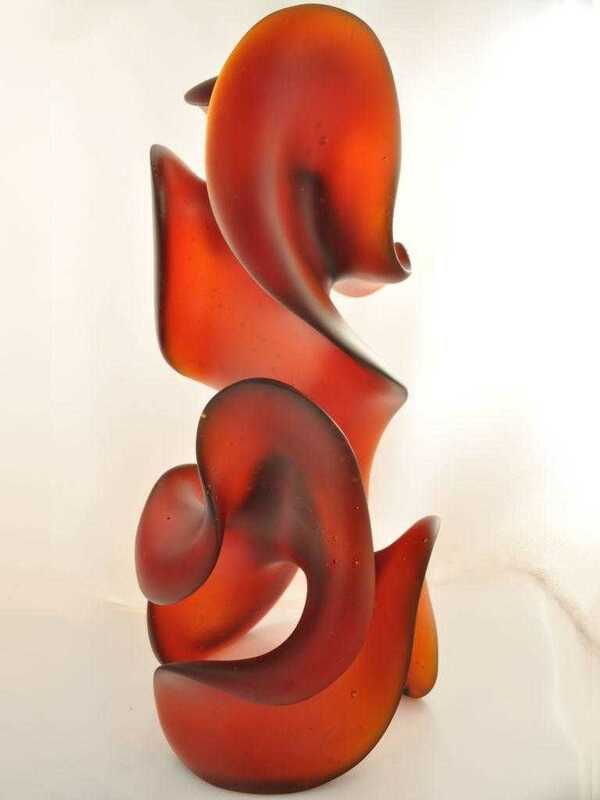 That movement is also an important structural element in this almost human-esque glass sculpture. 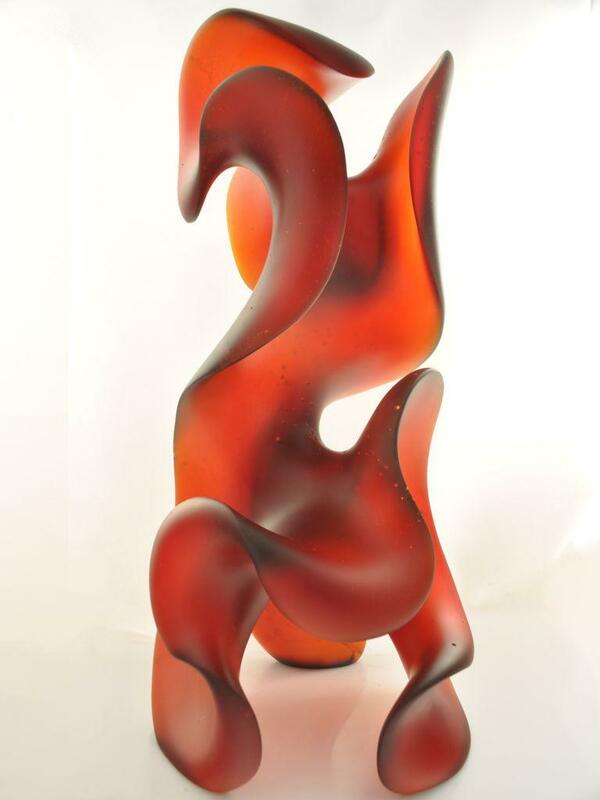 With Awakening, I used two such elements opposite to each other to create this figure stretching upward, greeting a red dawn. A big stretch and the day begins. There is tension in this piece and at the same time palpable serenity.